As much as I love my urban lifestyle, every so often the hectic pace of New York City gets to my family and I. When the pressure cooker starts to boil over, we seek a quiet respite to treat our over-stimulated selves to some small town fun. On a recent fall weekend, we found loads to do and a friendly, small town environment close to home in Tarrytown, New York. Although Tarrytown is only 25 miles and an easy drive or Metro-North train ride from New York City, I thought it would be fun to stay overnight, and make a mini-vacation out of it. The town boasts quite a few hotels. 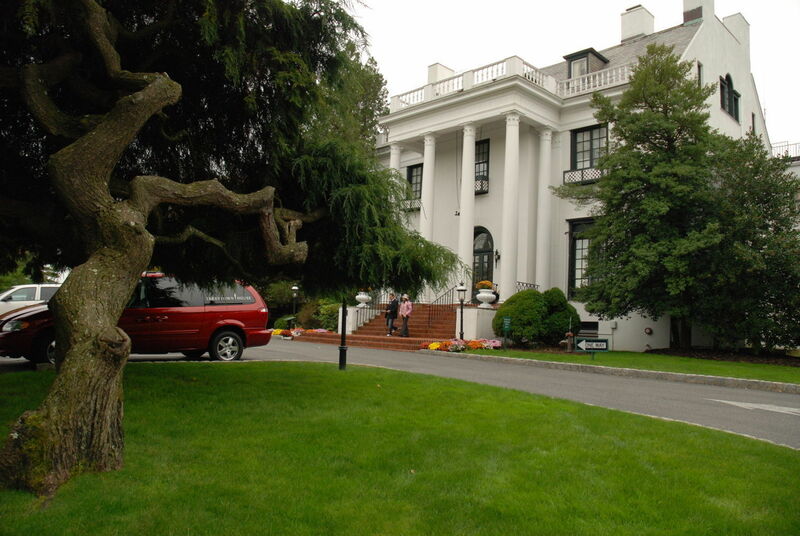 We chose the Tarrytown House Estate and Conference Center, which proved a worthy home base for our stay. 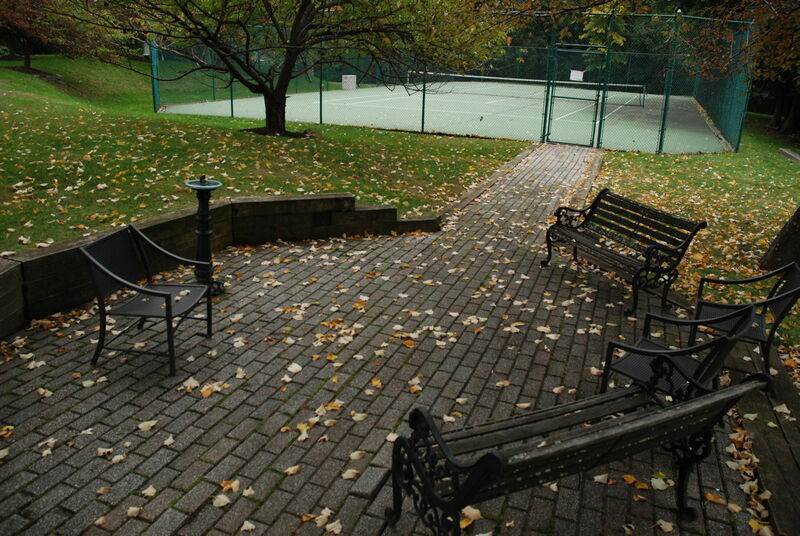 It is located just a few miles from the village of Tarrytown, and is convenient to all area attractions. We were quickly transported to a kinder, gentler time, as we drove up the winding driveway and saw sumptuous 19th century buildings. The Estate itself dates back to 1840; its 26 acres are set amongst stunning gardens and mature trees. In 1921, Mary Duke Biddle of the Duke Tobacco family purchased the large granite mansion which is known today as the Biddle Mansion. After her death in 1960, Biddle’s children sold it to the African nation of Mali, which used it for a short time as a diplomatic retreat before it was aquired by a Time Inc reporter as a conference center. The contemporary atrium-style main building, which houses the reception area as well as most of the 212 guest rooms, now 50 years old and honored as the nation’s first conference center. It is easy to imagine how wealthy 19th century industrial families once lived in palatial comfort on private estates such as this one. The tranquil setting, so close yet so far from our noisy Manhattan home, gave me the peace I had been seeking. The grounds were a game lover’s paradise. The pool was closed for the season, but it looked like it would be tempting to dive into it in the summer. 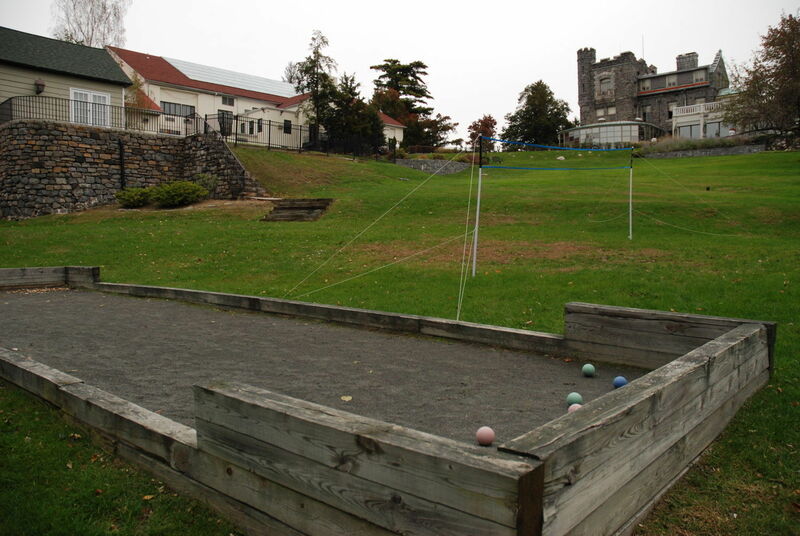 There are outdoor tennis courts, a badminton pitch, volleyball and basketball courts and bocce. We had been spectators to many competitive bocce games during our travels in Italy, so we had a blast playing our own family tournament. We appreciated that the equipment to all these games was readily available and free of charge. When the rain started to fall we headed indoors, where we splashed in the heated pool and relaxed in the whirlpool. We played racquetball on the court, and again, it was a thoughtful touch that both rackets and balls were plentiful and ours to borrow. We explored the stately Biddle Mansion, where a fireplace was lit in the ground floor parlor, adding a warm touch. Biddle Mansion is home to the hotel’s restaurant Cellar 49, appropriately located in a converted wine cellar in the sub-level, where the kids were welcome at the bar until 9 pm. This gave them plenty of time to enjoy indoor table-top shuffleboard, snooker and foosball, while we relaxed with a drink. Our room was modern and comfortable. The kids liked the flat screen television, and we all noticed how spanking clean it was. The next morning, we headed back to the elegant Biddle Mansion for breakfast. The restaurant has a large terrace with lovely views, that we imagined must be a great place for families to dine al fresco in warmer months. My children adore all buffet breakfasts, but crowds and lines for omelets first thing in the morning can put a damper on my day. The Tarrytown House breakfast was a buffet, but it was a relaxed and elegant affair, the perfect way to ease into the morning. It featured all of the classic breakfast dishes, as well as plentiful trays of wood-smoked salmon and large silver bowls filled to the brim with ripe fresh fruits. There are many well-priced weekend packages available on the Tarrytown House website. I met a family with a toddler and a 5-month-old, who were using the hotel as a “practice run” to prepare for a week-long holiday that they were planning. They looked as tired as parents with two tiny tots should, but they summed up the test experience as a success, saying that they had gained confidence for their upcoming holiday. Plus, they had loved the Tarrytown House, and planned to return in the near future.With so much to keep both kids and adults happy, we could have never left the stately property. But Tarrytown’s many attractions and events were calling. Tarrytown House is just up the road from Sunnyside, the historic home of Washington Irving. The hotel is only 4 miles from Philipsburg Manor in Sleepy Hollow, a working colonial gristmill that represents life in the 18th century in the lower Hudson Valley. There are many demonstrations, some hands-on that helped to give us a sense of colonial agrarian life. Interpreters in period costume helped us to feel as if we had stepped back in time. Both historic sites are fun and educational any time of the year, but our October visit coincided with autumn celebrations that featured pumpkin carving, spooky tales and woodland walks. There are special events scheduled throughout much of the year by this great group, Hudson Valley. 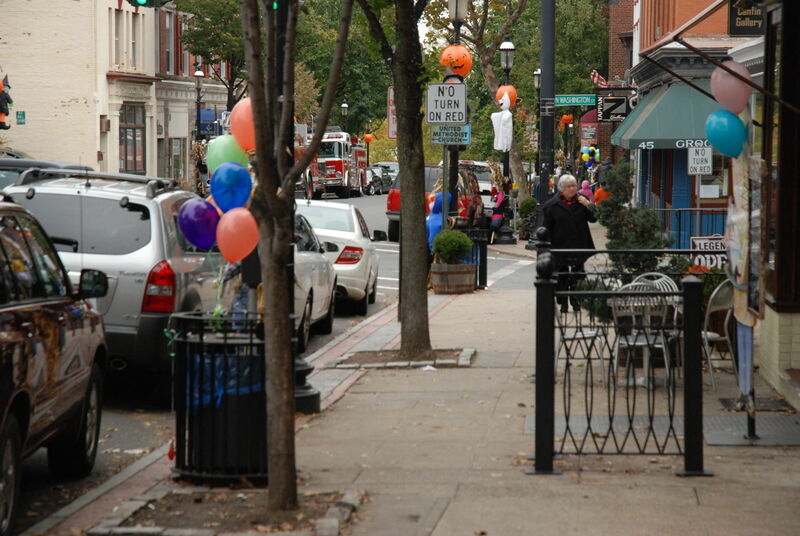 Walkable downtown Tarrytown is a pedestrian-friendly, shopper’s delight. Most of the stores are family owned and located on one of two streets, Main or Broadway. A Nu Toy (16 Main Street) has a nice selection of toys for all ages and price points. My daughter and I had a fun time browsing at Flying Fingers (15 Main Street), where a rainbow of gorgeous yarns tempted us to get back to knitting. We liked the bargain bin that featured $3 yarns. The staff was inviting, and a core group of regulars were busy sitting at a cozy table, hard at work on individual craft projects. Tarrytown is loaded with antique shops and galleries, most of which cater to families, who dominate the town. 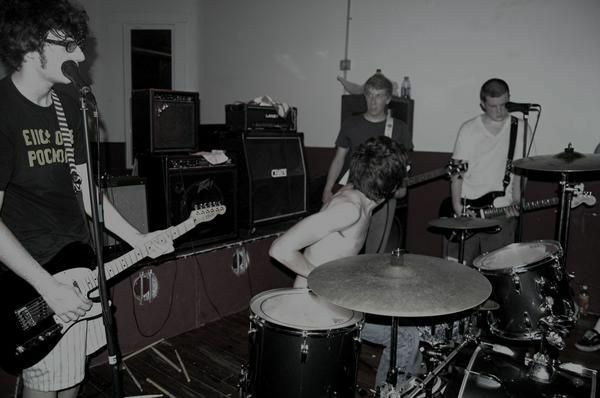 The Tarrytown Music Hall is also on Main Street, and has lots of events and concerts, some just for families. The Sippy Cups were in town during our visit, and lots of families were attending the matinee. Did I mention that Tarrytown is a food lover’s delight? That might be a big part of why I had such a great time there. If the weather cooperates, Mint (19 Main Street) has a mouth-watering selection of prepared foods that makes a picnic on the banks of the Hudson River a tempting proposition. There is a wide selection of Italian specialty foods, and my Italian husband was thrilled to purchase some authentic Mulino Bianco biscotti. 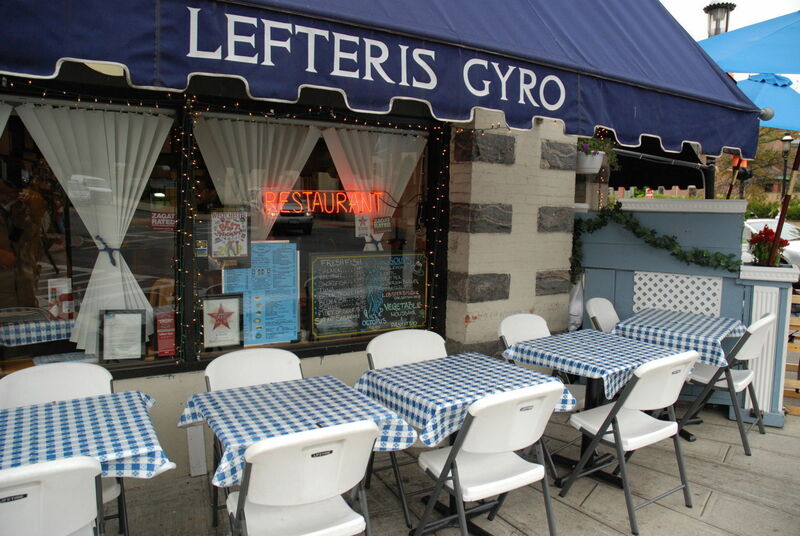 But our unanimous favorite meal was our lunch at Lefteris Gyro, a packed Greek diner at the Broadway and Main Street intersection. My brother, sister-in-law and niece had driven up to dine with us, so as a large party, we had quite a wait for a table. It was worth every minute. We started with big bowls of Avgolemono soup, the classic lemon chicken soup. Our main courses included gyros, moussaka and Greek salad. Everything was delicious, fresh, and service was speedy. For dessert, the homemade Greek yogurt, served with honey and walnuts was a stand out. We were stuffed, but had to try the homemade ice cream at Main Street Sweets (35 Main Street). It is a classic ice cream shop, with lots of tables, and a selection of board games that add a welcoming touch and encourage you to stay a while. We sampled flavors like cupcake and Oreo bomb. They had fat free and sugar free flavors as well. We headed a few doors up to Coffee Labs. The adults enjoyed a caffeine break, and the kids had fun watching the giant roaster roast coffee beans. We could not resist sharing a homemade hot dog at tiny Lubins-N-Links, also on Main Street, where the menu features hot dogs at bargain prices. Our multitude of mouths made fast work of the chili-dog, and we vowed to return when our appetites were up to the challenge of sampling more of the hot dogs that are on the menu. With great inexpensive restaurants, shopping, and overnight accommodations, Tarrytown proved to be a great short break for our family. The entire family voted to return in the near future. 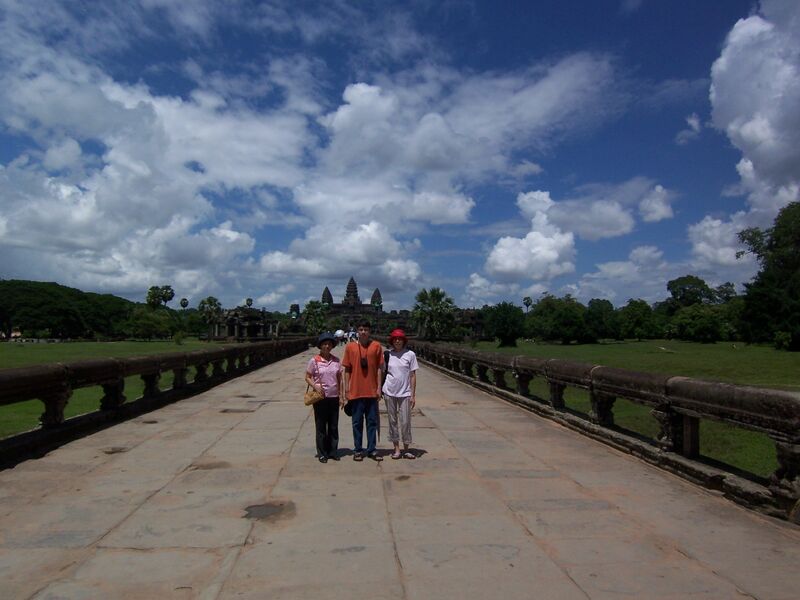 Being so easy to reach as well as easy on the family budget makes a return trip a realistic and fun proposition. How’s the weather up there now? Would it be warm enough to swim outdoors in late April, or still chilly? Seems like a fun spring break getaway since we only have a few days. Thanks for sharing.